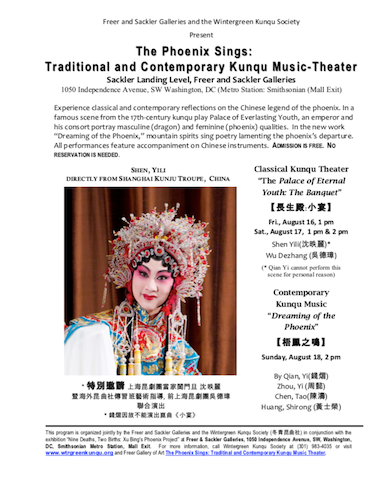 Experience classical and contemporary reflections on the Chinese legend of the phoenix. 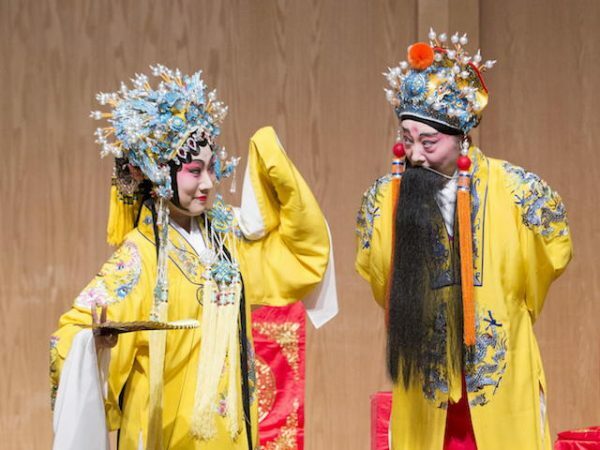 In a famous scene from the 17th-century kunqu play Palace of Everlasting Youth, an emperor and his consort portray masculine (dragon) and feminine (phoenix) qualities. In the new work “Dreaming of the Phoenix,” mountain spirits sing poetry lamenting the phoenix’s departure. 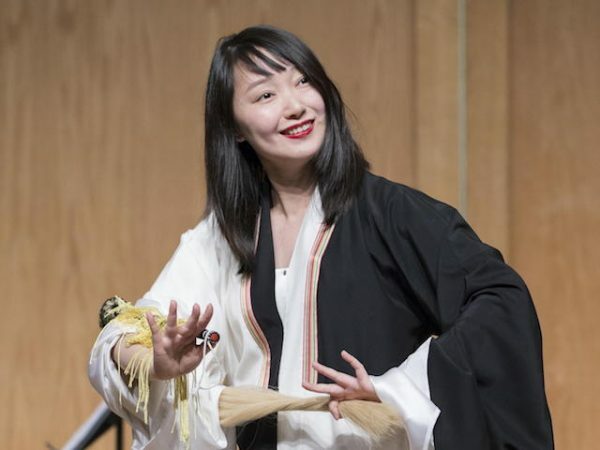 All performances feature accompaniment on Chinese instruments. 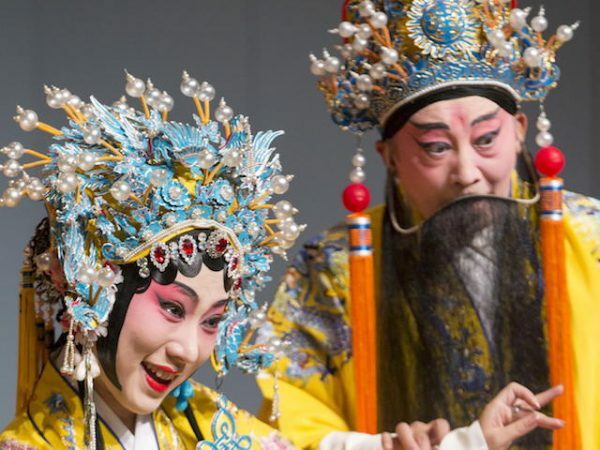 Freer & Sackler Galleries, Washington D.C. 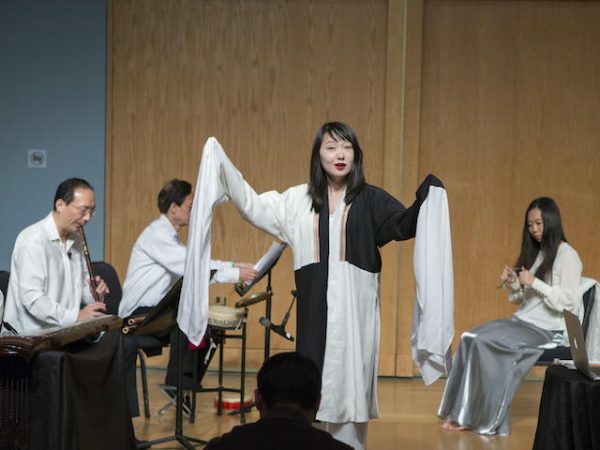 In a new music-theater work by Du Yun and Qian Yi, mountain spirits sing ancient poetry lamenting the loss of peace and prosperity since the departure of the phoenix. 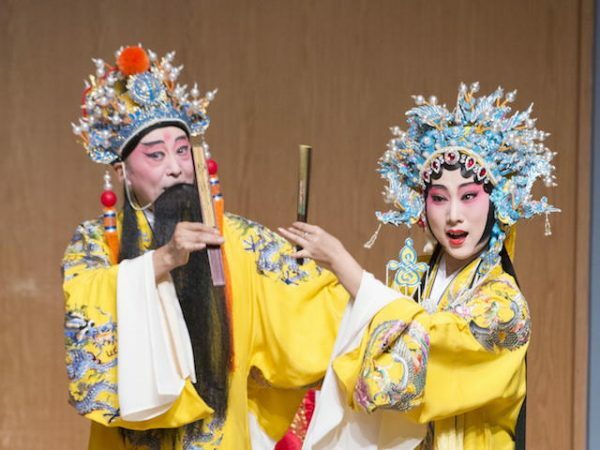 The vocalists are accompanied by an ensemble on Chinese flutes, nan-hu, zither, pipa, and percussion.